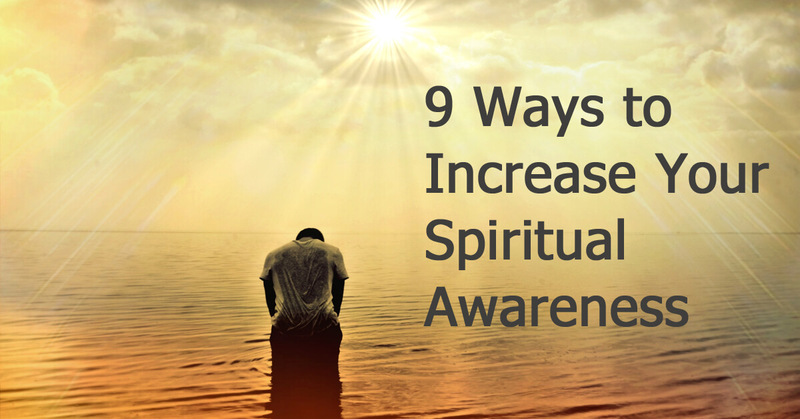 Share the post "9 Ways to Increase Your Spiritual Awareness"
Spiritual awareness is all about connecting with our inner self, divine consciousness and the world around us. Which will enable us to feel at peace and to harness our full potential, to be of service to the world, being spiritually aware creates a harmonious balance in body, soul and mind and can help you to develop healthy connections in relationships with family, community and ourselves. 5. Spending time in nature can help reconnect you with the earth and keep you grounded. Walking in nature is a great way to recharge and reflect which is beneficial to both body and mind. 6. Set aside time to learn new things. In growing and stimulating the mind. Take a few classes at a local college, read spiritual and inspirational material. 7. Have a good exercise regime and a healthy diet. If the body and mind are at its best, other aspects of life become easier to connect to. 8. Take the time to help others in a voluntary capacity helps to feed the inner soul. while the outward benefits are the ability to be more compassionate towards others. 9. Spending time interacting with like minded people. This will help build relationships that can give positive mental and physical reinforcements.